A delegation of the African Centre for the Study and Research on Terrorism (ACSRT) led by H.E Ambassador Francisco Caetano José Madeira, Special Representative of the Chairperson of the African Union Commission for Counter‐Terrorism Cooperation, Director of the ACSRT, including 6 experts in different areas of counterterrorism, undertook three (3) evaluation missions to the Republic of Uganda, 17 to 21 September 2012, Burundi, 23 to 29 September 2012 and Djibouti, 1 February to 5 October 2012. These evaluation missions, which are financed by the European Union Commission (EUC), are part of the ACSRT strategic programme of action for 2010-2013, adopted by the African National Focal Points (FP) during their fourth meeting, held at the ACSRT’s headquarters on 17-19 June, 2010 and as a follow up to the decision on the prevention and combating of terrorism adopted by the 15th Ordinary Session of the AU Assembly held in Kampala, Uganda, from 25 to 27 July 2010. The primary purpose of these missions is to analyze the capacity of the above mentioned Member States to fulfill their commitments under the terms of the AU Plan of Action (2002)and to evaluate the capacities of the National Focal Points to prevent and combat terrorism. Moreover these missions seek to develop recommendations on measures that the Member States should take in order to comply with their obligations under the AU Plan of Action (2002) and relevant AU decisions on the prevention and combating of terrorism and identify areas in which the three countries may require technical assistance. 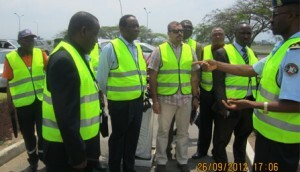 During these missions the ACSRT delegations undertook on‐site visits to border posts, airports, and other relevant facilities to assess the implementation on the ground. 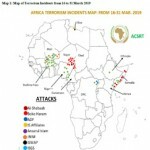 The ACSRT team also held a series of discussions with Ugandan, Burundian and Djiboutian authorities on counter‐terrorism related matters, including radicalization and the de-radicalization, judicial cooperation in criminal matters, terrorism financing, law enforcement and border control. 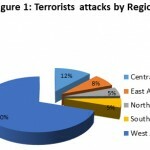 These discussions helped the team to assess threats arising as result from these countries’ geographical positions, the rapid development of religious charities, the existence of networks involved in the making true/fake identification and travel documents, returnee jihadists, radicalization and indoctrination of minors, cross borders and the financing of terrorism. The discussions were also designed to identify the main challenges undermining the regions’ capacity to effectively prevent and combat terrorism. Ambassador Madeira, the head of the ACSRT delegation, held specific high-level meetings with different ministers in the four countries. During these meetings, Ambassador Madeira briefed the ministers on the African Union instruments to counter terrorism, including the 1999 African Union Convention on the Prevention and Combating of Terrorism and the protocol thereof, the 2002 AU Plan of Action on the Prevention and Combating of Terrorism and the establishment of the African Centre for the Study and Research on Terrorism (ACSRT) in 2004. 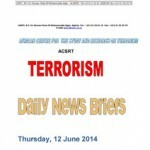 In this regard, he outlined the role of ACSRT in centralizing counter terrorism information, carrying out studies and analysis, providing training and counter terrorism symposia and seminars. The Ambassador indicated that in order to streamline Member States counter terrorism legislation, the AUC adopted the African Model Law on counter terrorism to serve as a template that would guide Member States in developing, strengthening and/or updating their national criminal law. The Ministers recognized the vulnerabilities of their countries and reaffirmed their commitment to implement a coherent strategy against terrorism and fulfill their continental and international obligations. 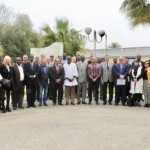 In this regard, they unanimously praised the mission, which was to them a proof of the solidarity of the African Union Commission and its willingness to support the capacity building efforts of the Member States in to prevention and combating terrorism.